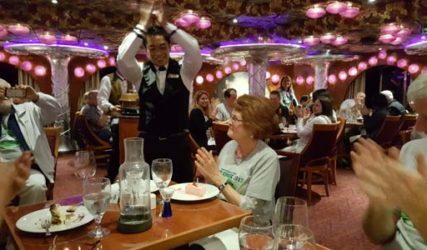 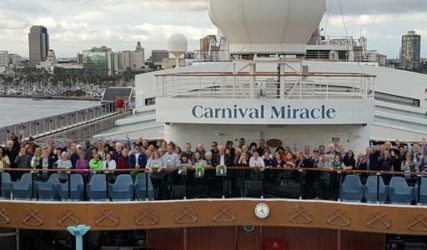 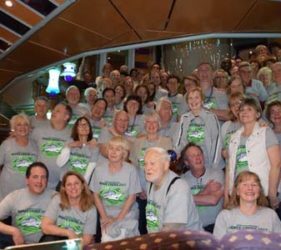 Our Mexican Riviera Dance Cruise had 99 people in the group. 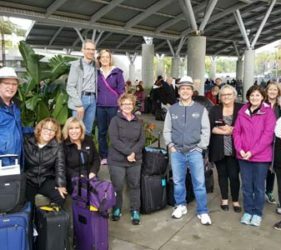 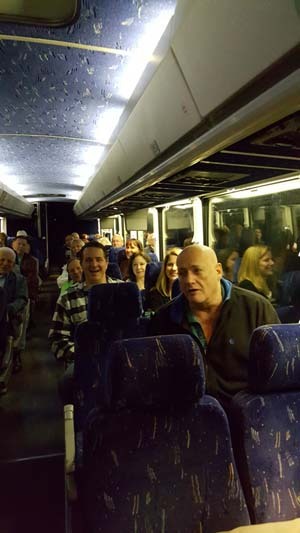 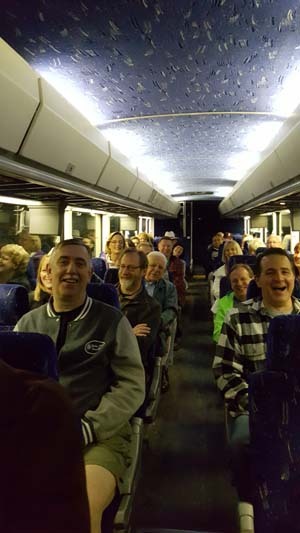 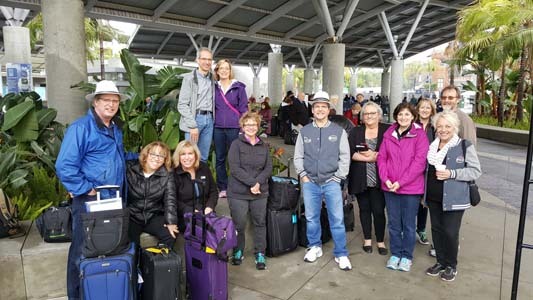 About half the group joined us very early in the morning for a bus ride from the Rockin’ Horse Dance Barn to the SeaTac airport. 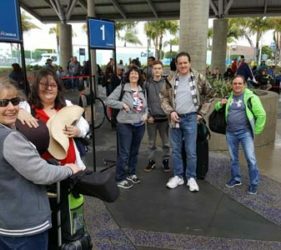 Here are some pictures to share with you from our first day. 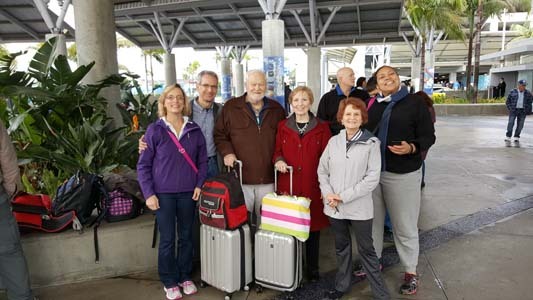 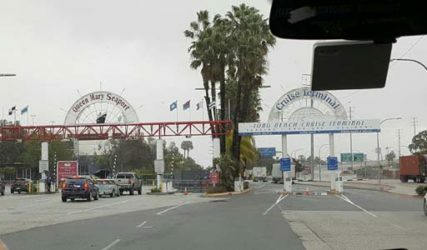 Once we arrived we met up with a few others in our group at the Long Beach Cruise Terminal. 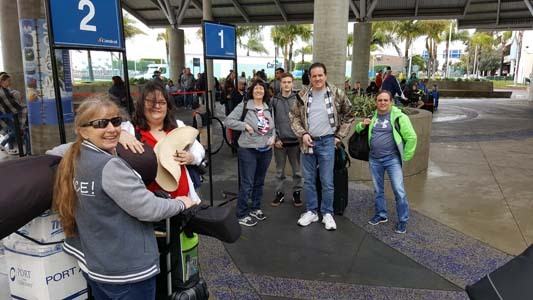 We were early so we got to board first right after the Priority people boarded. 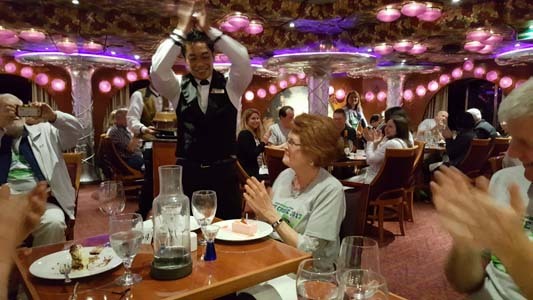 Lorna celebrated her Birthday at Dinner and we all sang Happy Birthday to her. 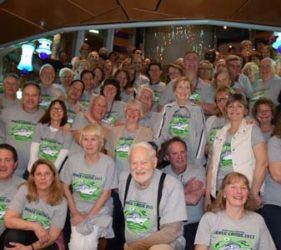 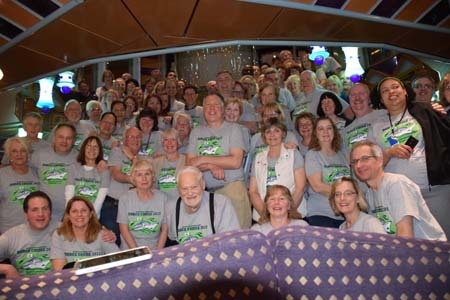 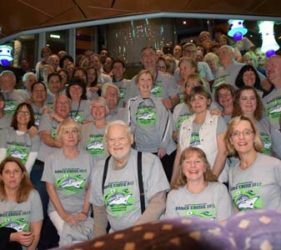 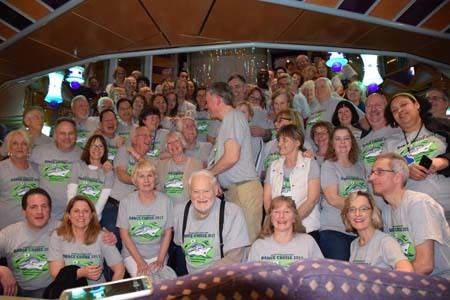 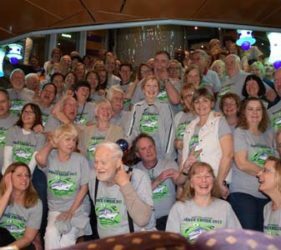 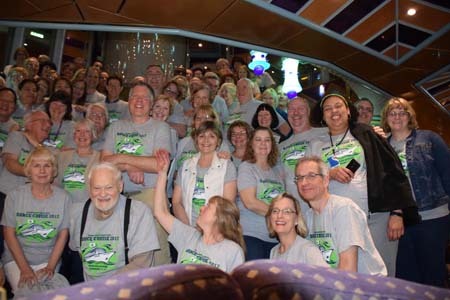 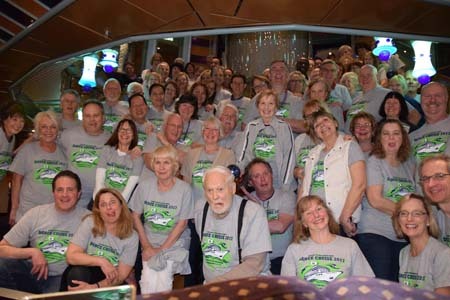 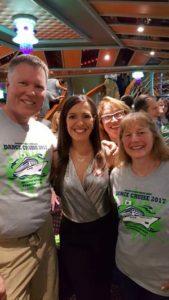 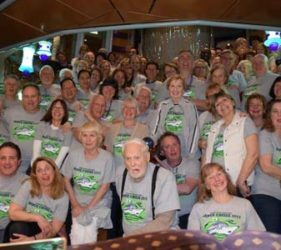 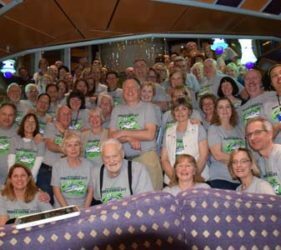 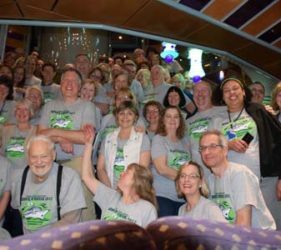 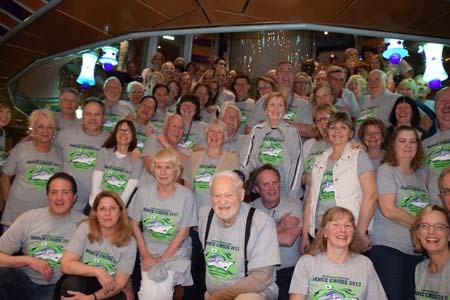 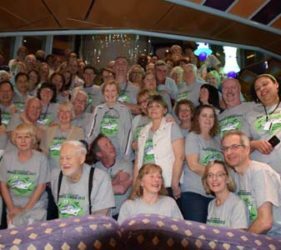 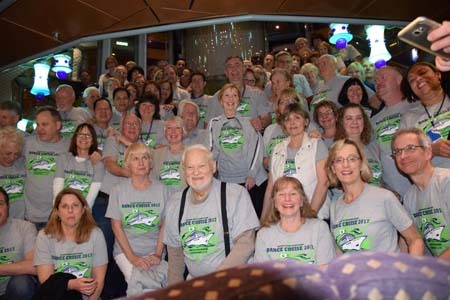 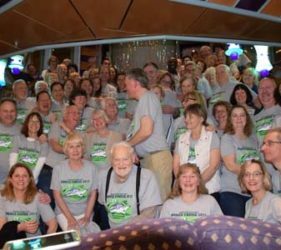 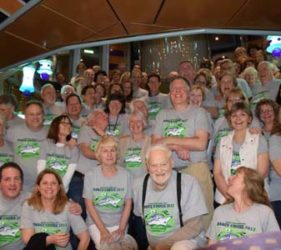 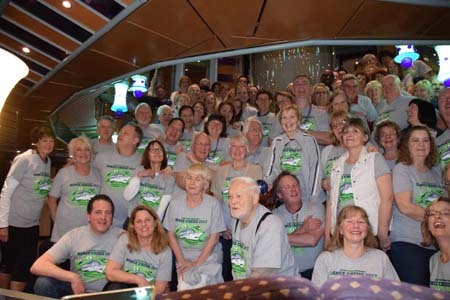 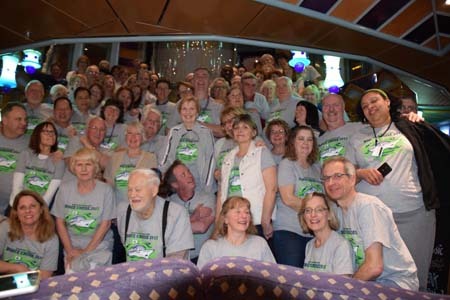 We took a Group photo in our Dance Cruise T-shirts. 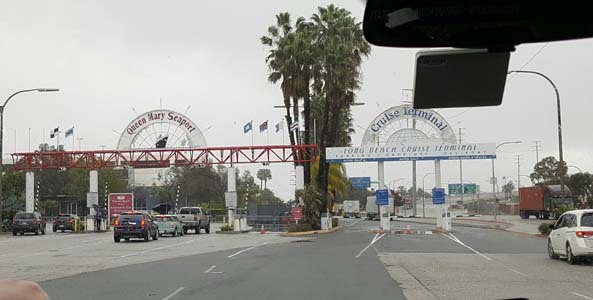 It was cold in Long Beach! 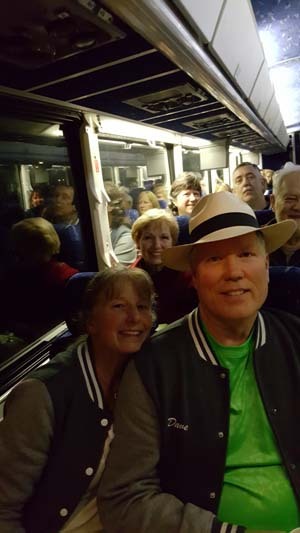 But we still had fun. 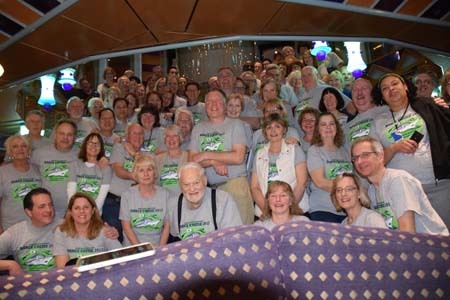 We had so much fun trying to get our first group photo done that instead of trying to Photoshop everyone into one photo I decided to share several attempts. 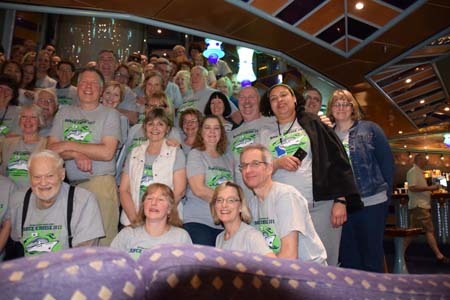 Photos by Dave Serfling and Steve Lavender. 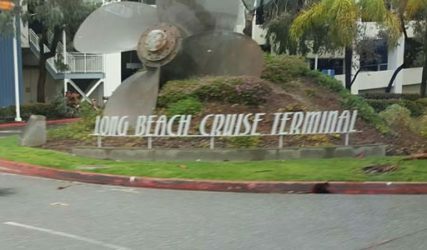 It was very early in the morning and very cold in Long Beach! 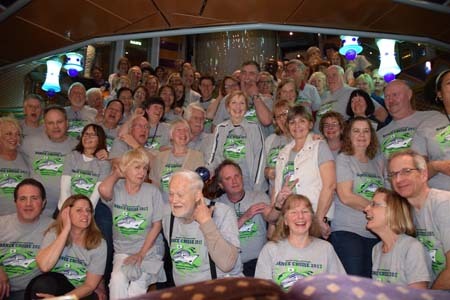 I got warmer when we got on the ship and it was fun all along the way. 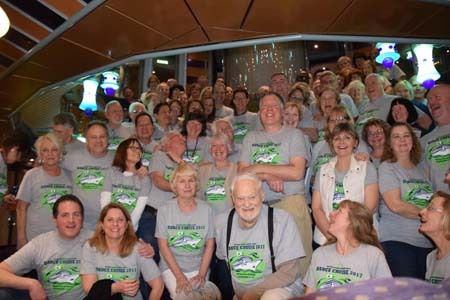 Thanks to Jimmi & Dave for all of their hard work! 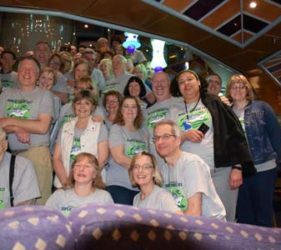 It was so enjoyable having the time to talk and bond with people which allowed the opportunity for many dance “acquaintances” to become true friends! 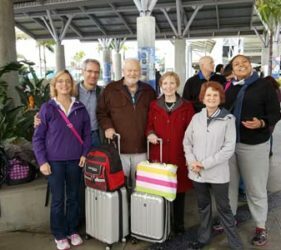 I had an absolute blast and I’m ready to sign up for the next big adventure!